Clementine confite at Un Dimanche à Paris. What are the best pastry shops in Paris? Ask most people—or read any Parisian guidebook—and you’ll hear some variation of the following list: Pierre Hermé, Ladurée, Stohrer, Gérard Mulot and Blé Sucré. When I first took an interest in Parisian pastry, and kept coming across those same names, it seemed odd. In a city renowned for its work in pastry, and jammed with countless world-class chefs of every stripe, there had to be more than five patisseries worth visiting. What conventional wisdom and guidebooks haven’t accounted for is the explosion of high-end pastry shops in the last several years. The only way to stay on top of it all and to develop a truly relevant “best-of” list would be to live in Paris and eat pastries virtually morning, noon and night. So that’s exactly what I did. Having now downed hundreds of pastries from scores of Paris’s finest shops, I can confidently say there are more than five worth visiting and that at least three of the most hyped are well worth . . . skipping. Here’s my list of the Top 10 Best Pastry Shops in Paris, complete with suggestions of great picks at each! Once a preteen runaway, Monsieur Genin grew to helm pastry and chocolate operations for La Maison du Chocolat before branching off on his own. After years of privately furnishing his ultraluxe caramels and chocolates to France’s finest hotels, restaurants and cafés, he opened his eponymous shop in December 2008. Few argue that he’s now Paris’s No. 1 master of the classics. Top Picks: Chocolate éclair, lemon tarte, baba au rhum, flan, caramel éclair, raspberry tart, chocolate tart and of course as many caramels, pâtes de fruits and chocolates as you can carry home. 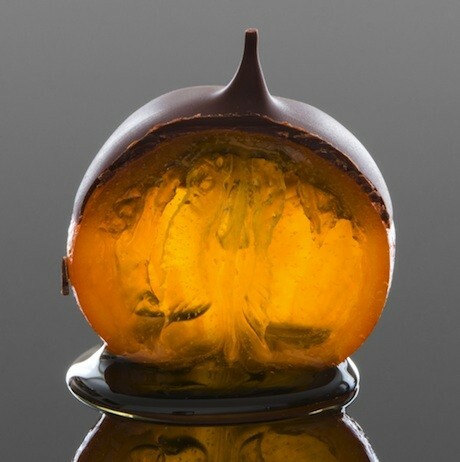 The former head pastry chef at the Michelin three-star Guy Savoy, Hugues Pouget went on to become the 2003 Champion de France du Dessert before teaming up with childhood friend Sylvain Blanc to open Hugo & Victor in 2010. Their pastries’ aesthetics range from the simple to the architecturally sublime —all served up in a shop that looks like a hybrid between Cartier and Dior. Seasonal flavors for the pastries are matched with champagnes and fine wines, as selected by H&V’s sommelier, Frédéric Béal. Top Picks: Mango macaron, Hugo Vanille, raspberry-pistachio macaron tart, Victor Verveine, Victor Pistache, Hugo Passion, Earl Grey chocolate tart, wild blueberry macaron and combawa lime macaron. Fraise tarte at Hugo & Victor. Heir to the Cluizel chocolate dynasty, Pierre Cluizel decided to open a two-level pastry boutique, restaurant, chocolate shop, hot-chocolate salon and bar that spans nearly half a city block. Not only will it blow your mind, but the pastries, as crafted by Michelin three-star veteran and current captain of France’s 2012 Pastry World Cup Team, Quentin Bailly, are sure to delight you. Top Picks: Pistachio and red fruit choux (puff), licorice macaron, coquelicot (poppy flower) macaron, Le Merveilleux, strawberry-coconut tart, candied clementines, mille-feuille and hot chocolate. Pouchkine’s head chef, Emmanuel Ryon, is one of the most decorated pastry chefs in history, holding titles such as Pastry World Champion, French Dessert Champion and MOF Glacier (France’s highest honor in ice sculpture, ice cream and frozen desserts). The pieces he creates are more ornate than anything you’ve likely seen. The flavors, too, are a wildly unique fusion of French and Eastern European sensibilities. Top Picks: Tutti Frutti, Napoléon, Or Noir, strawberry/pistachio-heart macaron, vanilla croissant, Roulé Pavot, Feijoa and Moskito. Tutti Frutti at Café Pouchkine. This third-generation Alsatian baker vaulted to fame with curious hits like his foie gras macarons, ketchup macarons and asparagus macarons. Of course the real highlights of his shop aren’t really the quirky macs as much as the highly inventive and insanely delicious pastries. Just make sure to go early in the day, as lines get crazy. Top Picks: Gourmandises Constellation, vanilla tart, Porcelana chocolate tart, Montebello and the rose/lychee/raspberry croissant Ispahan. French pastry is not only a very manly world but often an openly misogynistic one as well. For a female pastry chef, like Des Gâteaux et du Pain’s Claire Damon, to endure it and come out on top is a huge victory for women in all of French gastronomy. A legend in the making, her choice of flavors is fantastic, but her true genius lies in a near-peerless command of textures. Top Picks: Pomme Tatin au Sirop d’Érable, J’adore la Fraise, Pistache-Fraise and the croissants. 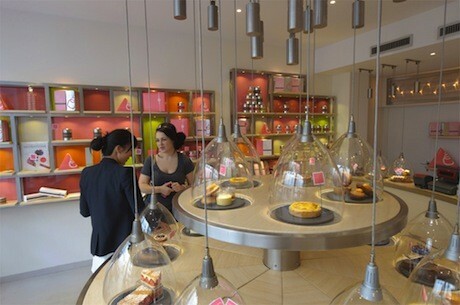 While Pierre Hermé was opening his shop in Tokyo, Sadaharu Aoki was beating Monsieur Hermé to opening the first name-brand Parisian patisserie of the 21st century. Even though many of the pieces are French classics, at least half the case takes adventurous Asian- and Japanese-inspired spins. If you’re a fan of matcha or black sesame, there’s plenty to love chez Aoki. Top Picks: Salted caramel/milk-chocolate tart, black sesame éclair, Sudachi, vanilla choux and violet macaron. 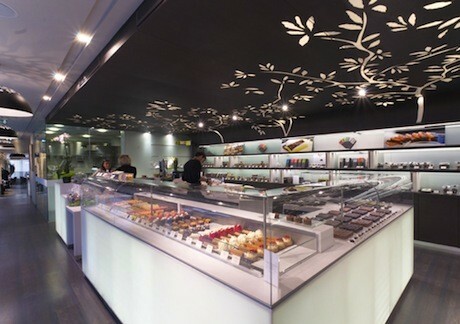 Sadaharu Aoki might have been at the vanguard of the 21st century, but La Pâtisserie des Rêves beat everyone to the 23rd. Not only does the shop look like it was beamed straight out of a sci-fi movie—in the best way possible—but many of the pastries are visually out of this world. Top Picks: Grand Cru, mango tart, Saint-Honoré, chausson aux pommes and brioche. The pastry case at Ladurée epitomizes the idea of Parisian pastry. Even though the shops listed above arguably offer “the next level” of work, none of them capture the 19th-century fantasy of swirling creams and puff pastry the way Ladurée does. It doesn’t hurt that it also has perhaps the largest and most frequently rotated cast of macaron flavors. Top Picks: Fleur d’oranger (orange blossom) macaron, tarte tatin, rose réligieuse, licorice macaron, cassis macaron, Harmonie, Divin, La Fraise and vanilla macaron. 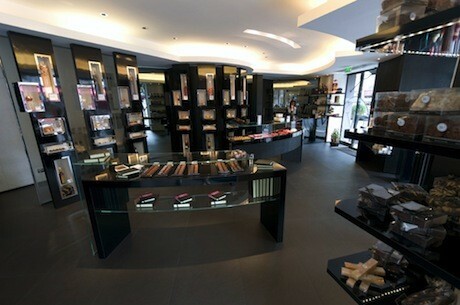 Monsieur Hévin’s shop is a chocolate lover’s fantasy. Not only are there tons of ganaches, truffles and bars, but many of the macarons are chocolate-based and virtually all the pastries are profoundly chocolate-centric. It’s worth noting that of everyone on this list, with the exception of Ladurée, he’s the only great who existed in Paris prior to 2001. Top Picks: Tonka, Princesse, Chocolat Framboise and basically every chocolate piece in the case. The 10 shops above are pretty much guarantees for indelible Parisian pastry memories. That’s not to say fine work doesn’t exist at other patisseries, but if you’re flying across an ocean and hoping to live in a state of perpetual fantasy, why not treat yourself to the best? 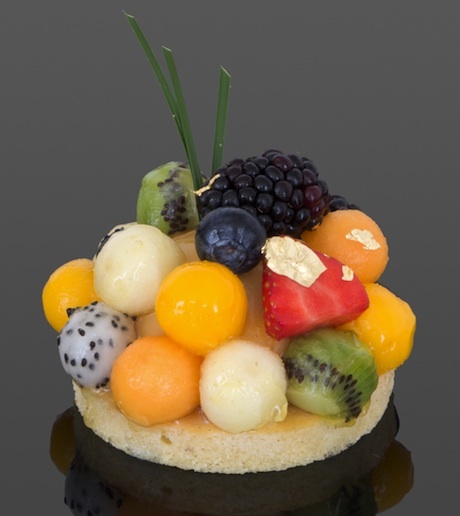 Adam Weyda is a pastry fiend who shows his love daily on his blog, Paris Pâtisseries. Editor’s note: Download the iPhone app or pdf for the GG2P pastry and chocolate walking tour today!